1. Exercise is important to reduce your risk of falling. It makes you stronger and helps you feel better. 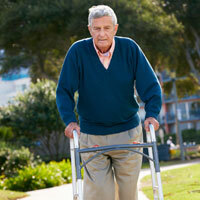 Lack of exercise leads to weakness and increases your risk of falls. With your physician’s approval, consider walking, senior strength training, and Tai Chi for balance. 2. Remove papers, books, clothes, and shoes from the floors and pathways in your home. 3. Remove small throw rugs or use double-sided tape to keep rugs from slipping. Discard rugs with edges that curl up instead of laying flat. 4. Stay off of stools and ladders. Re-arrange kitchen, bathroom, laundry room, and bedroom closets, cupboards, and chests so that the items you regularly use are within easy reach. 5. Improve lighting to reduce deceptive shadows; wear shoes with good support and non-slip soles. Add night-lights throughout the house to help you avoid bumping into objects if you get out of bed during the night. 6. Add grab bars and non-slip mats to your shower, tub, and toilet areas. 7. Have an eye exam for conditions that limit vision (glaucoma, cataracts) and update your prescription for glasses. 8. Ask your physician to review your prescription and over-the-counter medications for combinations that may make you dizzy or lightheaded. 9. See your physician for a complete checkup with particular attention to conditions that cause dizziness. 10. Reduce alcohol consumption to avoid stumbles, dizziness, and reduced balance.